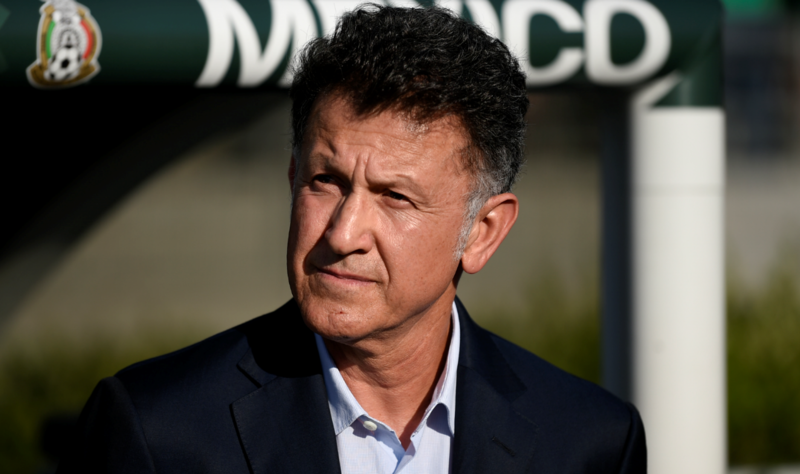 As the United States Men’s National Team continues to search for a manager, a number of very intriguing friendlies are appearing on the horizon. The United States will square off versus Brazil on September 7th at MetLife Stadium in East Rutherford, New Jersey. After that, the squad will play Mexico in Nashville and Colombia in Miami before moving across the pond to take on respected sides in England and Italy. These matches provide the mass amount of young national team players with a real opportunity to prove themselves against top-flight competition. For the eventual manager, these games can also be looked at as try-outs of sorts. We’ll start off with the Brazil friendly by offering a potential roster for the match, as well as a projected starting XI. Defensively, I’m opting to keep Cameron Carter-Vickers and Shaq Moore in Europe. Carter-Vickers will be fighting for minutes with Tottenham — whilst Moore will look to solidify a starting role with second-division Spanish side Reus. In the midfield, the likes of Paul Arriola, Darlington Nagbe, and Rubio Rubin will be pushed aside for higher-upside prospects in Gall and Amon. 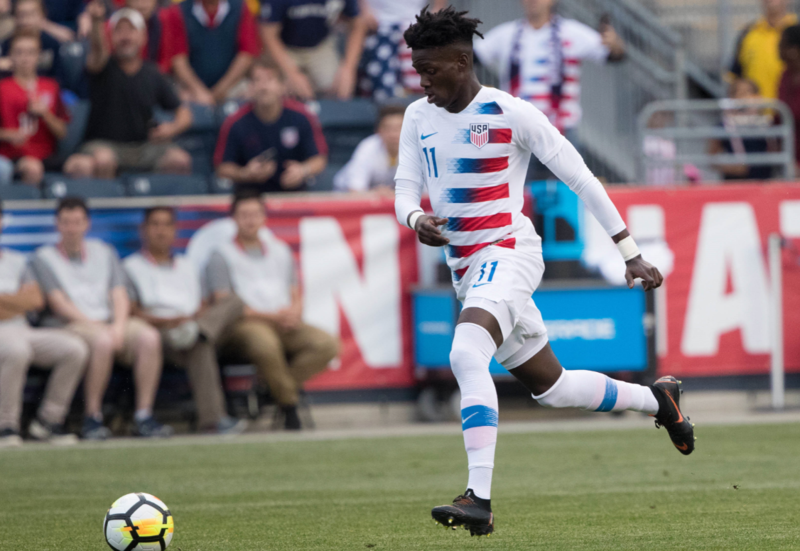 Many USMNT fans are salivating over the possibility of seeing Amon debut for the side. Possessing sublime pace and quickness, Amon looks primed to potentially nab a starting spot on one of the wings right away. Gall is an intriguing player — and if nothing else will add some technical ability in the center of the park. Danny Williams likely will be a part of the friendlies being played in Europe. He needs to stay in England and get fully healthy as he reintegrates with Huddersfield Town. Up top, Altidore has been in great form recently. It will be interesting to see whether he in fact is with the squad — primarily because Toronto FC is making a playoff push. There’s also the rumors circulating about a potential move to Serie A (Italy) or Ligue 1 (France). Weah has started this year exceptionally well for French giant PSG. It is rather telling that the side opted to keep him rather than loan him out. This appears to mean that Weah will be in Thomas Tuchel’s plans for the upcoming campaign. Sabbi is the newcomer for this set of friendlies. He’s been a terror in the Danish league — scoring four goals in the early part of the season. Sabbi is athletic, aggressive, and appears to have some real scoring chops. Only 20 years of age, he may be able to add some much-needed depth to the pool of strikers. It’d be preferred to see him enter the side when compared to Gyasi Zardes. We’d love to bring Josh Sargent in for this contest versus Brazil. However, it makes more sense for him to stay with Werder Bremen and fight for minutes. Andrija Novakovich should be getting a look for the England/Italy friendlies across the pond as well. I don’t rate Trapp particularly high — though it appears as if he’s in the (temporary) plans for Sarachan. The destroyer role will be one to watch going forward. In a perfect world, Williams might fit there better. The backline is as full-strength as possible. Up top, there will be some tinkering. The fan base would love for Amon to start. However, I wouldn’t be surprised if he’s positioned as a substitute. Altidore gets the nod as the lead striker, though there’s not a ton of confidence behind that pick. Wood — or even Weah — could easily nab that role. The next five games will provide the program with real tests to its quality and depth. From a macro perspective, it would make sense to fully embrace the youth movements for these contests. They don’t count for anything other than an accruing of experience.